Georgia's United National Movement, pictured here, is squaring off against Georgian Dream. (c) Levan Avlabreli / RIA Novosti. 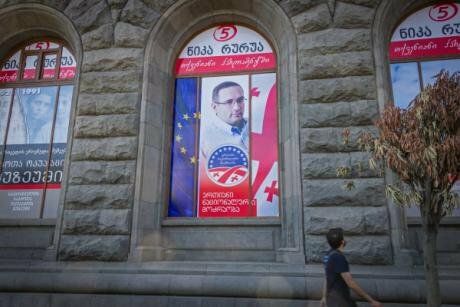 All rights reserved.Parliamentary elections are coming to Georgia. This Saturday, Georgia’s electorate will go to the polls to define the country’s future for the next four years. While Georgian and foreign officials have been mostly positive in their assessments of the election environment (“the most democratic elections ever”), the tone and content of the election campaign makes it clear that there is something fundamentally wrong with Georgian politics. Tbilisi burns after the overthrow of Georgian president Zviad Gamsakhurdia and his government in 1992. (c) Igor Mikhalev / RIA Novosti. All rights reserved.Zviad Gamsakhurdia, Georgia’s first post-independence president, is a classic example. In May 1991, Gamsakhurdia, an ultra-nationalist dissident, was elected by 87% of votes after campaigning on the grand goal of leading the nation. When he failed to meet his promises, Gamsakhurdia was overthrown by militants. The country was on the edge of a full-scaled civil war. Bidzina Ivanishvili, Georgian presidential election, 2013. CC Marco Fieber / Flickr. Some rights reserved.Once again, the electorate was looking for another leader to save Georgia’s fragile democracy. Bidzina Ivanishvili, a Georgian tycoon, appeared to be the last Messiah who managed to consolidate society once again, defeating Saakashvili’s government in the 2012 parliamentary elections. 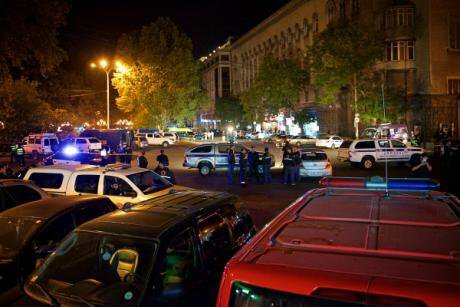 5 October: the scene after a car bomb attack against Givi Targamadze. (c) Alexander Imedashvili / RIA Novosti. All rights reserved.On 5 October, Georgia witnessed a terrorist attack. Givi Targamadze, a leading UNM official and former defense and security committee chairman, was lucky to survive a car bomb in Tbilisi. UNM leaders indirectly blamed the government. The ruling party immediately struck back. In an urgent address to the nation, prime minister Giorgi Kvirikashvili promised to punish the initiators, saying that “foreign citizenship” will not protect them. Thus, Kvirikashvili indirectly accused Saakashvili, who accepted Ukrainian citizenship to avoid criminal charges in Georgia, of an attempt to destabilise the state prior to the elections. Saakashvili, of course, then promised his victorious return from Ukraine after the election. 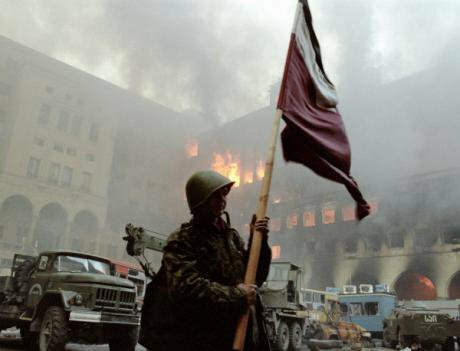 A quarter century since the collapse of Soviet rule in Armenia, Georgia, and Azerbaijan, where is the region now and what can come next?